This is a great side dish for summer meals and really anytime you need an extra quick & easy side! 1 Red onion, or 1 small red & 1 small orange bell peppers. 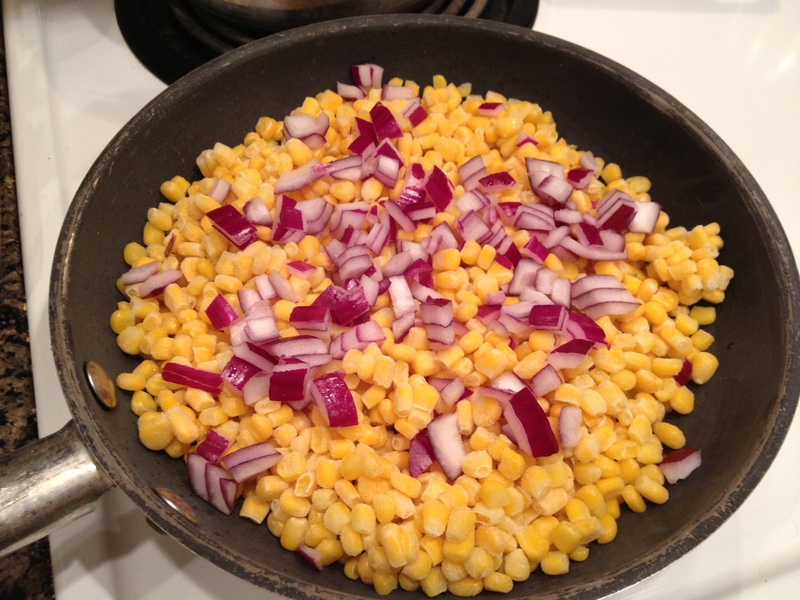 Step 1: Put corn into skillet with a little bit of olive oil in bottom for cooking. Stir around and let cook for about 3 minutes. 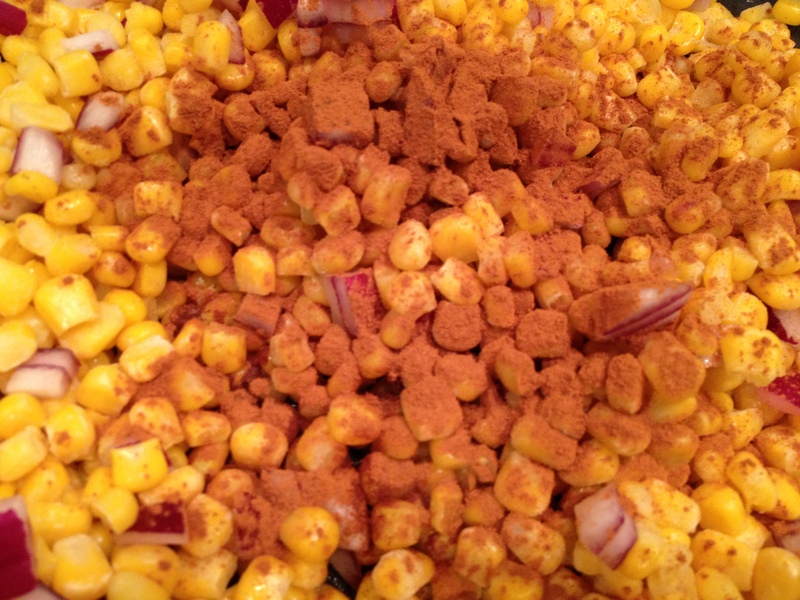 Step 3: Now add cinnamon – as you can see I added a generous helping. I cook with my eyes not measuring utensils. 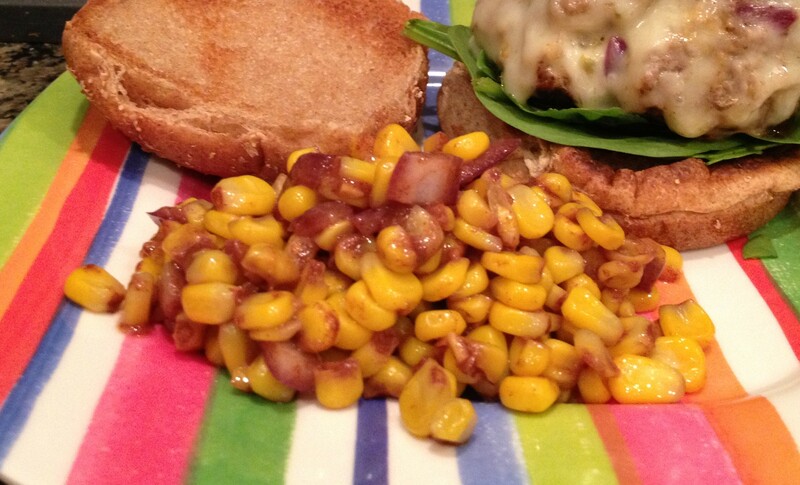 I’d say about 1 table spoon spread evenly over the corn. I love the corn relish!